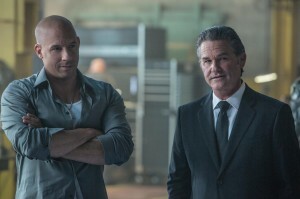 The Fast & Furious films are a unique franchise, given this later sequel renaissance that began with Fast Five. By uniting desperate characters from the other films as a “family” unit, director Justin Lin was able to propel the franchise to another level entirely. 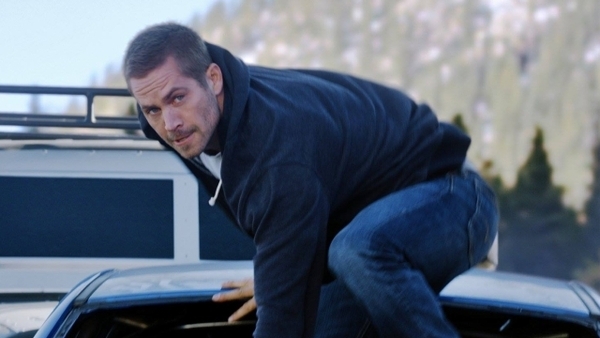 Fast & Furious 6 was a minor stumble that just didn’t live up to the previous installment. 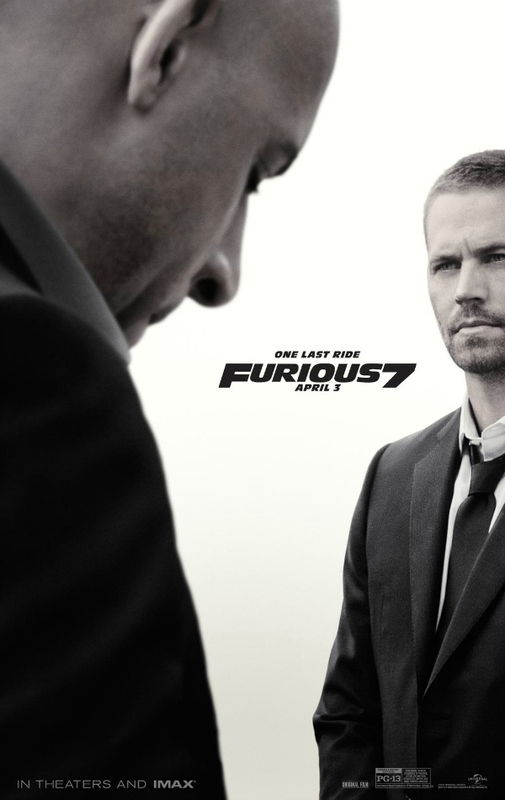 However, newcomer to the series director James Wan and longtime series writer Chris Morgan have rebounded, making Furious 7 a return to form. Featuring some of the best (CGI-enhanced) action of the entire series, the seventh is an enthralling installment. After defeating Owen Shaw (Luke Evans), in the previous installment, Dom (Vin Diesel), Brian (Paul Walker) and the rest of the crew family have settled into a quiet life of minivans and school dropoffs. All of this is quickly interrupted as their last international adventure follows them home in the form of Owen’s bigger, badder trained assassin brother Deckard (Jason Statham). After killing Han (Sung Kang), as seen in Tokyo Drift, Deckard starts hunting down the team that took down his brother. Dom and his family team up with Mr. Nobody (Kurt Russell) to rescue hacker Ramsey (Nathalie Emmanuel) and retrieve her super-surveillance creation the “God’s Eye” from the clutches of a terrorist (Djimon Hounsou) and his henchman (Tony Jaa). All of this chasing and revenge leads directly to a few of the finest action setpieces the series has ever produced, matching the absurdity of the cargo plane takedown during the climax of the previous installment with the cleverness of the safe heist from Five. While seeming to have little grounding in reality, the action is shot in a straightforward way that maintains a sense of geography while sustaining a strong sense of speed. From flying cars to dodging drones, this film moves from point to point like a turbocharged engine (sorry, I couldn’t resist). The other thing in this film’s favor is the cast. Not just the chemistry between longtime costars, or the Statham-y steel addition, but the size of the ensemble. As great as it was seeing all of these street racers and thieves assemble the first time around, and as much as some characters are missed, refining this down to the core group of Diesel, Walker, Michelle Rodriguez, Tyrese, and Ludacris gives the story a good sense of balance, which each member’s role well-defined. Of course the film knows this and comments on it while setting up for a mid-film heist. Some will tell you that these films are mindless entertainment, but that’s definitely not the case. Sure it requires as much suspension of disbelief as any other blockbuster, superhero or otherwise, but the filmmakers have taken the material seriously— where it counts. This is a well-constructed soap opera, where we keep coming back for the “family” as much as we do the horsepower and explosions. The characters are extremely broad, with barely more than one well-defined trait apiece, but when the joy of it is seeing them all bounce off one another, it doesn’t matter so much. The only overall arc here is the relationships, that these people are family (as we are both told and shown—repeatedly) and the rest is just making sure each scene works as well as the last. Newcomers to the franchise are welcome, and while Statham, Jaa, and Hounsou don’t do anything special, neither do they disappoint. However, Kurt Russell brings a charisma that is as cooly loud as Diesel’s quiet smolder. Channeling some of his “Stuntman Mike” performance from Death Proof, Russell’s character is a man who knows more than anyone else in the film and delights in only sharing what he feels is necessary. Nathalie Emmanuel is also a great addition, even if she doesn’t get as much to do as she should, considering much of her appearance is either following instructions or being bait. Of course, it is well-known that production was delayed due to the tragic death of Paul Walker. It is worth mentioning that the film handles this in the most fitting way possible, with taste and class. In trying to figure out why we like these movies so much, it seems easiest to conclude that they strike the right balance of character and action, all while being made by people who deeply care about the craft. Furious 7 opens in today in Philly area theaters.